Take the stage with Kawai’s MP7SE Stage Piano. The MP7SE offers studio-grade functions in a performance-friendly instrument. Featuring the class-leading Responsive Hammer action, the MP7SE allows you to perform with expression. Capturing the slightest nuances from your own fingertips. Kawai’s hammer action gives you absolute performance control. The MP7SE control panel is neatly organised to maximise the ease of use while performing. While it’s frame is carefully built with a heavy duty metal, and its controls sturdily reinforced. You can take your piano out on the road with absolute confidence in its durability. This piano includes an F-10H pedal unit. All thanks to the Virtual Technician application, you can fine tune your sound and manipulate the response. 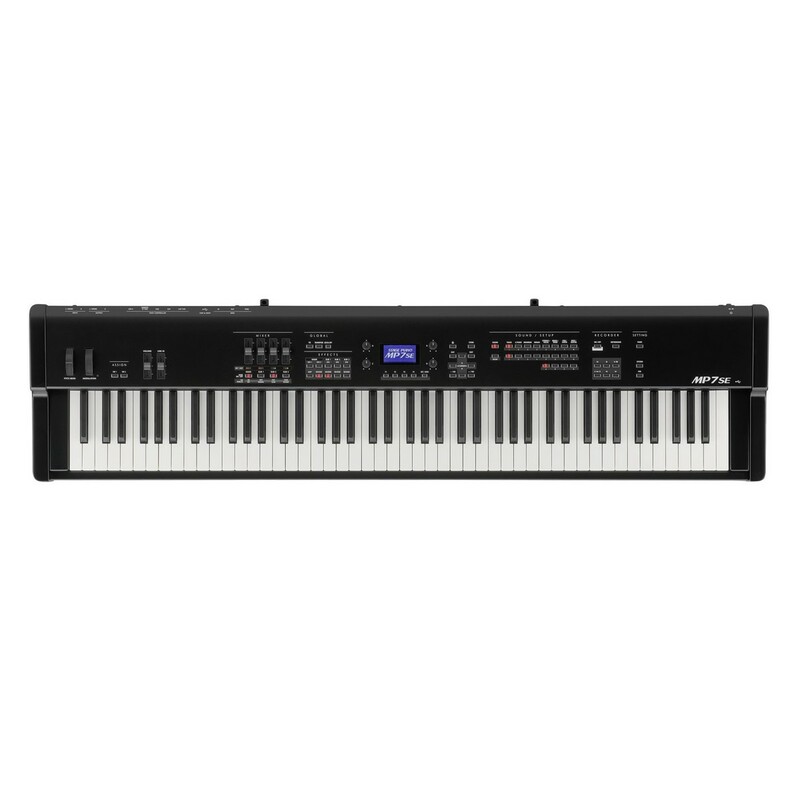 Kawai offers you complete control over your sound and performance. 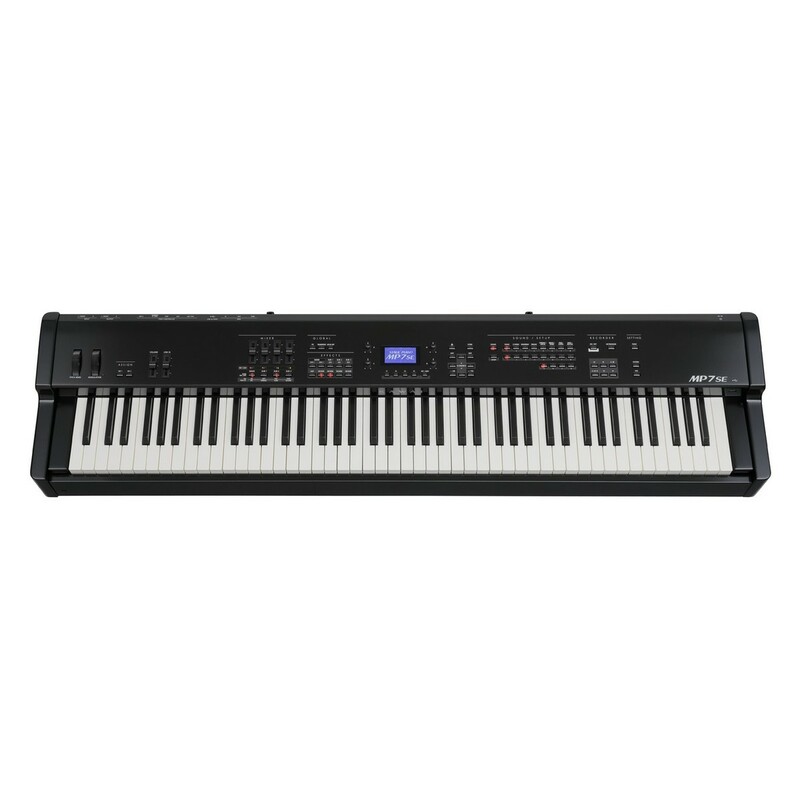 Its parameters include precise details such as the damper noise and key-off effect, so that even the most discerning musician can achieve their tonal preference. The Virtual Technician app is free download to via your iOS or Android smart device. Easy to navigate. Convenient to use. The wireless connection allows you to test each setting whilst being stood in different parts of the room. 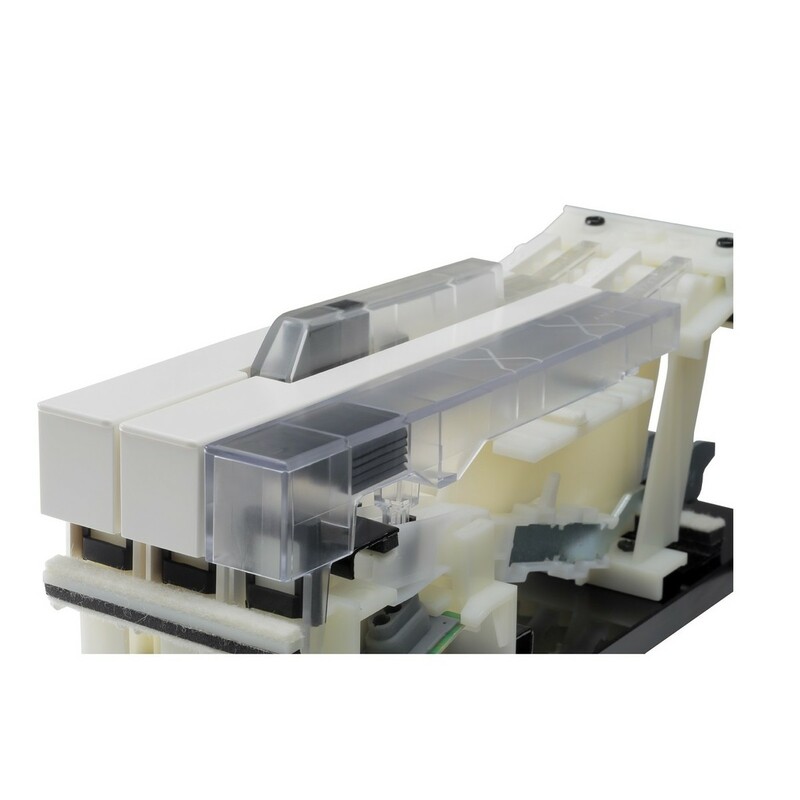 Virtual Technician allows the MP7SE to be tweaked to accommodate any style. The Harmonic Imaging XL sound engine produces a range of classic acoustic and electronic piano voices. Featuring samples from the flagship Shigeru Kawai SK-EX Concert and mid-sized SK-5 Studio grand pianos. The 40 voices include a diverse range of acoustic and electronic pianos, whilst the 256 note polyphony ensures that your decay is natural. 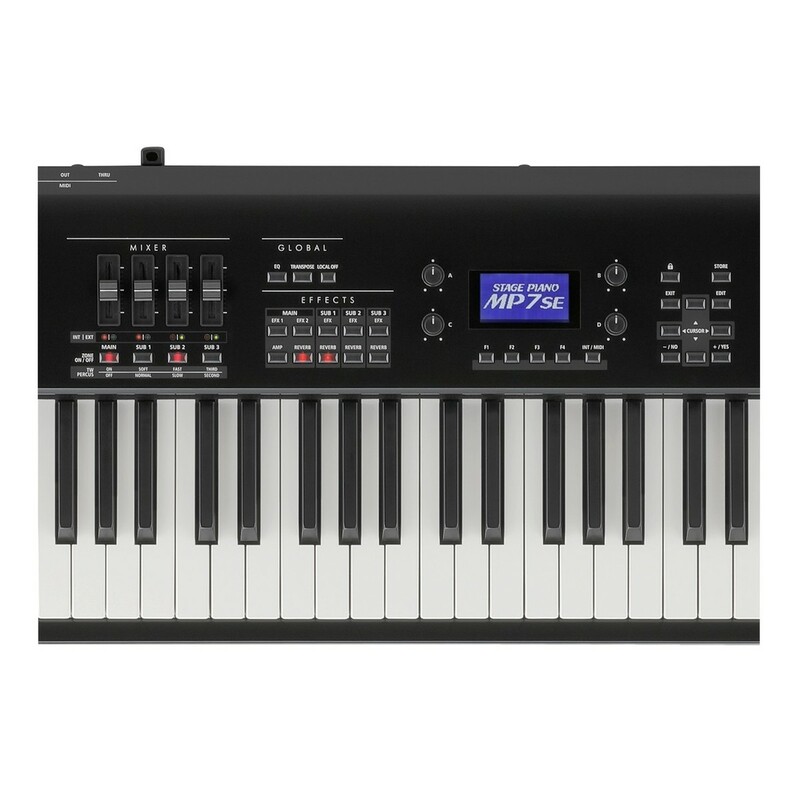 The MP7SE's Responsive Hammer III keyboard provides a fully weighted hammer action in a convenient, stage friendly size. The keys are linear weighted for a more familiar expression when performing jazz and blues. The Responsive Hammer III keyboard action also benefits from let-off simulation for a realistic response when playing. The Ivory Touch key tops absorb subtle surface moisture to assist playing control, while the natural matt finish ensures a smooth playability. The Responsive Hammer III technology is appropriate for advanced musicians not wanting to compromise their performance on stage. The MP7SE combines a large range of functions with an easy to navigate control panel, making it suitable for the stage musician. The control interface features specific banks to quickly edit and enhance your sound. While the digital screen acts as a central hub to navigate between each feature. The MP7SE’s pitch bend and modulation wheels are ideal for crafting spontaneous solos in a live performance. All buttons are backlit, whilst the neat arrangement keeps your layout organised. 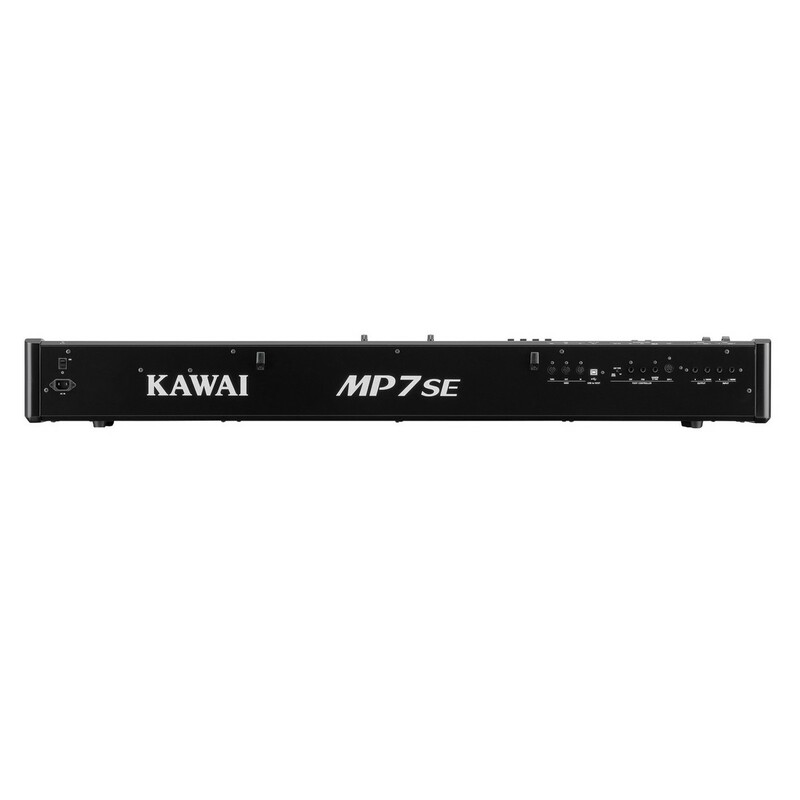 The MP7SE’s rear panel features all the ports needed for a modern studio or live setup.